Tourism-wise, food-wise, and otherwise, Amsterdam gets all the attention. But Rotterdam would like a word. Named “Europe’s next capital of cool” by Vogue magazine and only a short train journey from Amsterdam, the port city is dynamic, forward-looking, and bristling with energy. A handful of tables, a tiny menu, cash payment only, and a little old lady behind the counter. Eating here is like sitting in a Japanese living room for a home-cooked meal. 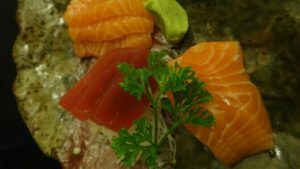 The sushi is carefully prepared, delicious, and worlds away from the all-you-can-eat joints on the city’s main tourist drags. Zen offers more than just sushi, and even the simple tofu salad here is fresh and bursting with flavor. If you’re looking for a traditional sit back and relax restaurant, then look away. 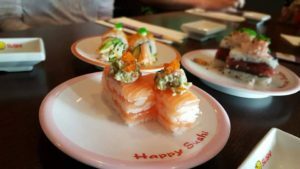 At Happy Sushi, the food is prepared live, before being loaded onto a conveyor belt encircling the open kitchen. Simply grab something that looks tasty as it passes, pay according to the colour of the plate, and eat at the bar. Plates start at €2.50, portion sizes are generous, and the food is quality stuff. Highly recommended. 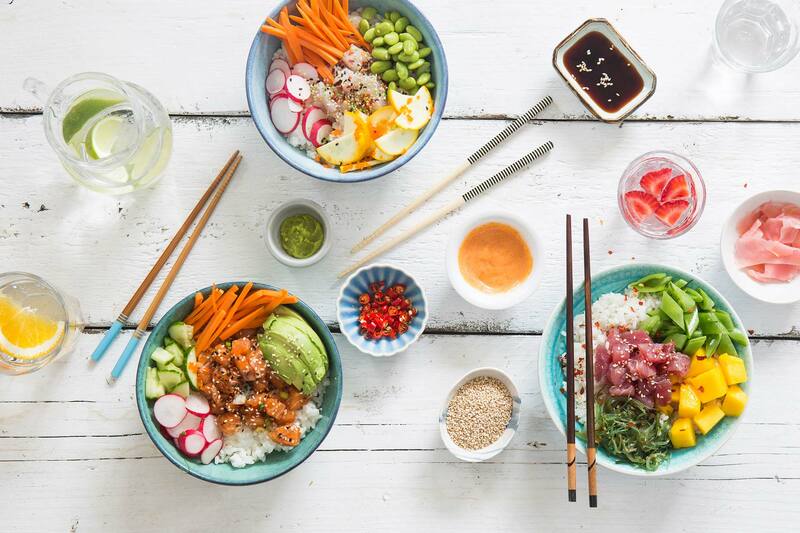 Specializing in fast and healthy food, Poke perfect serves up Hawaiian poke bowls – best described as sushi in a bowl. The bowls are huge, and the combination of rice, fish and raw fruit and vegetables is mouthwateringly fresh. If you’re not a fan of fish, there’s also chicken and tofu on the menu, and all the bowls on the menu can be ordered rolled up in sushi burritos – perfect for grab-and-go snacking. The standard options here are great, but for those who want to roll their own, there’s hundreds of combinations available off the menu. For anyone craving a more high-end experience than conveyor-belt sushi bars and grab-and-go street food, Itami is a real gem. 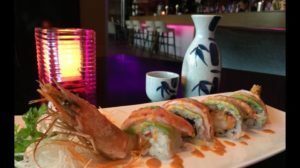 Itami’s modern and luxurious décor lends it a much more businesslike atmosphere than most sushi restaurants, and the prices reflect this. However, the food here is truly wonderful. As well as the huge range of a-la-carte sushi, the Japanese Wagyu beef is orgasmic. If you can afford it, it’s well worth splashing out here. The oversized king of all-you-can-eat sushi in the Netherlands, Sumo has too many locations even in Amsterdam and Rotterdam to list here, and the franchise has swollen to include noodle bars, Vietnamese pho restaurants and a forthcoming oriental restaurant in Utrecht. 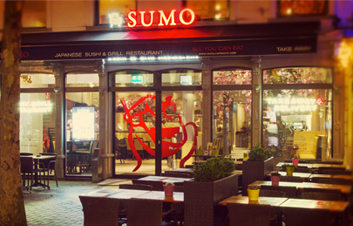 The core appeal of Sumo however is its all-you-can-eat concept. Order up to five items per round for a limited time and waddle out with a waistline like a sumo wrestler. The food isn’t as lovingly prepared as in Itami, but it’s tasty. Plus, who can argue with such bang-for-your-buck. 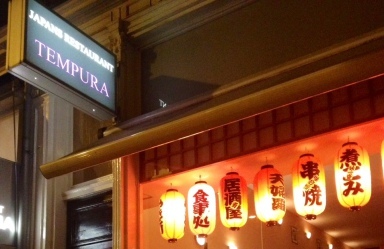 A cut above all-you-can-eat functionality, but still affordable, Tempura is a treat. Nested among a glut of pizzerias and steakhouses on a leafy street near the Artis zoo, the sushi here is fresh, succulent, and well worth checking out. The service is friendly, and the staff here are flexible. We recommend ordering inside out rolls with salmon and avocado. You won’t find these on the menu, but the chefs will accommodate, and you’ll be glad you asked. Japan is a country of centuries-old traditions and cutting-edge modernity. Shiki’s aesthetic definitely leans towards a neon-soaked futuristic look. Like Itami, the vibe here is businesslike and professional, with customers ordering from tablets conveniently located at every table. The food is great and varies season to season, but is a little pricey. While portions aren’t as generous as in some other places on this list, service is fast and efficient. 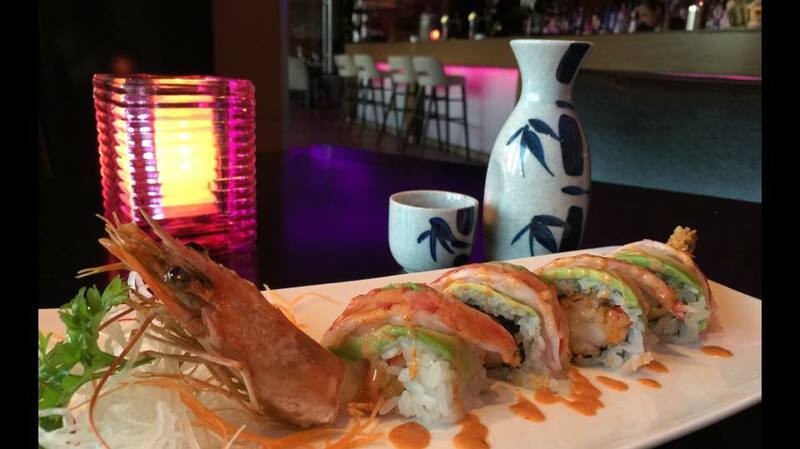 Try the dragon rolls. You won’t be disappointed. 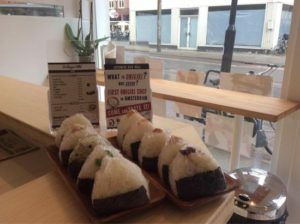 Deviating from the standard sushi restaurant template, Onigiri YA is an absolutely authentic takeout spot in the heart of Amsterdam’s bustling Pijp neighbourhood. Onigiri is a popular hand-held Japanese snack, consisting of meat or raw fish sandwiched between balls of rice and wrapped in seaweed. Onigiri YA’s friendly owner is passionate about introducing it to Europe. At around €2.50 per serving, it’s both delicious and great value. As well as its namesake, Onigiri YA also serves homemade miso soup, stocks a range of weird and wonderful Japanese snack foods and hosts origami classes. Squint and you could be in an anime. 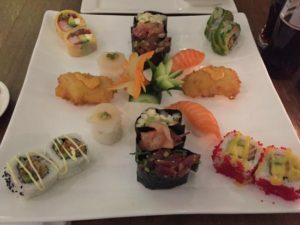 Another nice antidote to the all-you-can-eat places that dominate the sushi market in the Netherlands, Sushi Company offer great value set menus as well as a la carte dining and home delivery. 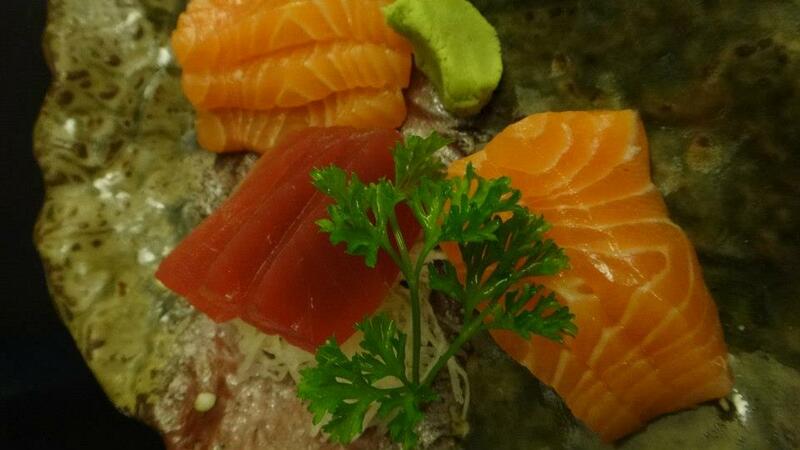 Sushi Company’s sashimi is luscious, and tastes like it could cost three times as much. 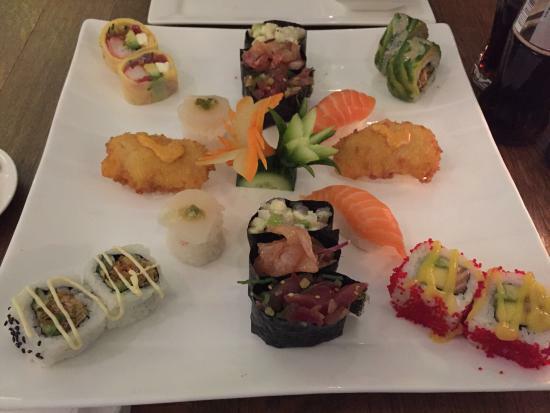 Everything is prepared in an open kitchen with fresh ingredients, making Sushi Company a solid recommendation. 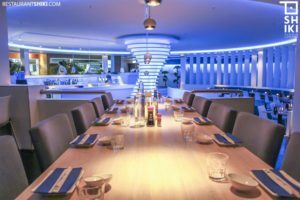 Right at home in Amsterdam’s trendy foodhallen, Meneer Temaki takes a socially conscious approach to sushi. Its tuna are caught individually with rods and its salmon are fed and farmed organically. While the menu is small, Meneer Tamaki’s team are dedicated to quality, and you’ll be hard-pressed to find better Japanese street food in the west of Amsterdam. 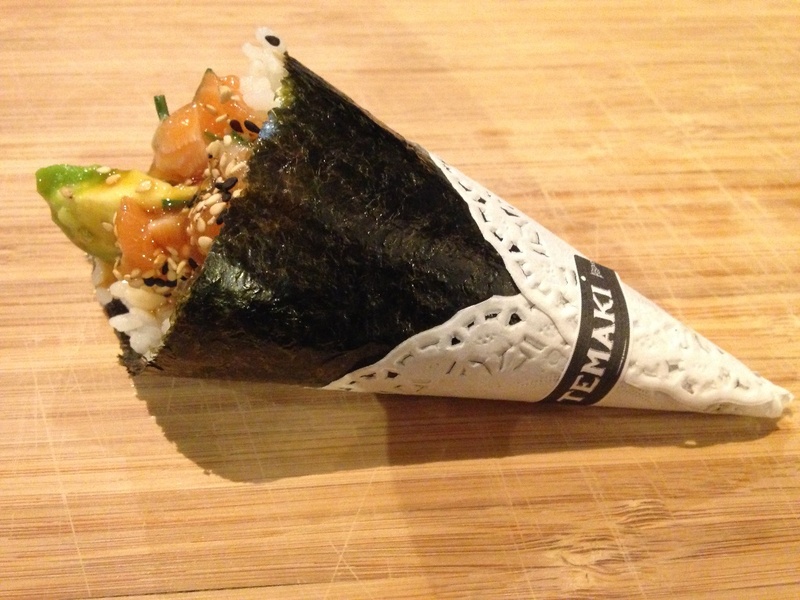 The Temaki rolls are excellent, and make a perfect portable snack. Enthusiastic and fun staff seal the deal. As well as the foodhallen location, Meneer Temaki also have several food trucks for hire. Keep an eye out at festivals and events in the city!